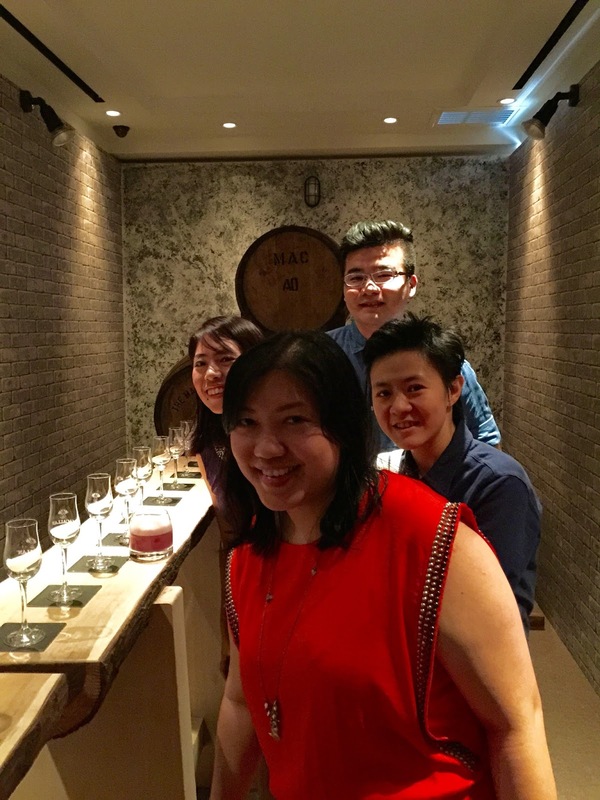 I was really excited to go for my second Macallan event on Saturday and this time round, it's to celebrate the launch of their first batch of Rare Cask whisky. Why is it called Rare Cask? It is because it is a celebration of their Oak Barrels and the head whisky maker selected 1% of their usual barrels to produce this series which has 16 distinct notes. 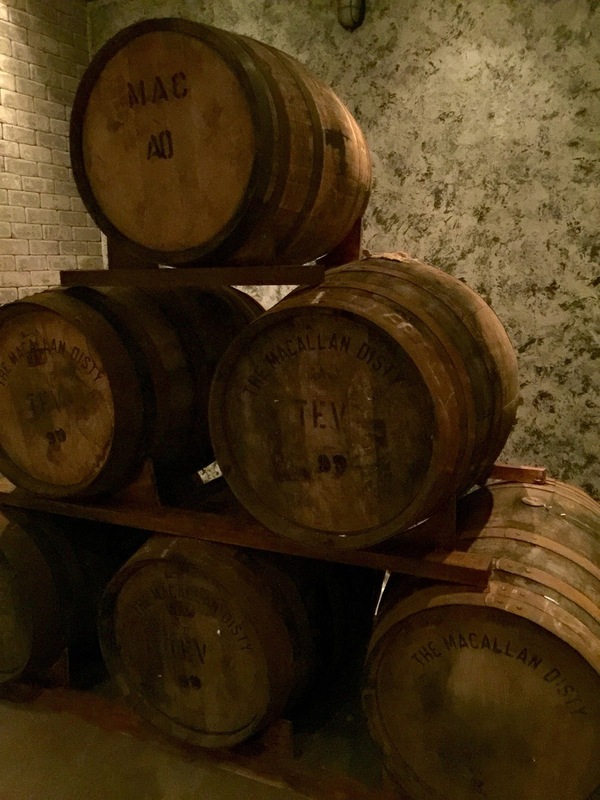 For Macallan, it's all about the oak barrels. Their Oaks are a mix of American and Spanish oaks, and the barrels made with them are first 'cured' with sherry before whisky is aged in these barrels. The organisers invited Tio Pepe down to give us a taste of the said sherry, which is in the glass that you see above. I loved how each glass of sherry was poured with such flair and if you've got a camera in front of him, he'll be so obliging in making his movements even MORE exaggerated! But back to the sherry. I was really surprised that although the nose of it was really strong, it was a super easy wine to drink. It was a bit dry but wasn't too overpowering so you can pair it with all sorts of seafoods, especially those that come with cream sauces. 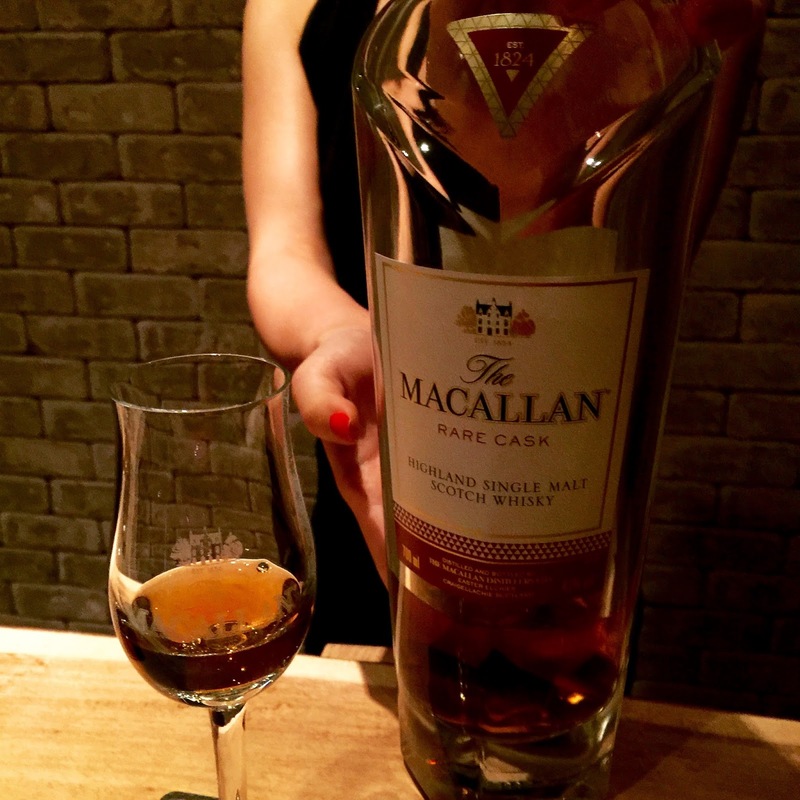 What Macallan event would it be without welcome drinks? The above is the Macallan Macarena, a special cocktail made specially for this event. As you can tell from the menu below, it contains the Macallan 12 yrs, Amarena, egg white (for the froth) and orange bitter. I joked with the bartender that this cocktail is so healthy since it as protein from the egg white and fibre from the cherry served with it plus carbs from the whisky. All contributing to our 1 of 5 servings in a day. LOL. Honestly though, the taste wasn't that great. The previous welcome cocktail for Toast The Macallan was a lot tastier but I liked that the Macarena was prepared fresh for us on the spot, unlike the last event in January. It was soon our turn to go into the 'warehouse' where the organisers turned the place to resemble the cellars/warehouses in Europe where the Macallan sits and ages for a minimum of 7 years. It is supposed to be cool and damp. The actual oak barrels were also there for us to take a sniff at - smell the glorious sherry residue. But the day's event was all about the Rare Cask, which was why we were there in the first place. To taste this first bottling. On first whiff, it smelt a little creamy and my friend Joe said that he could smell mainly chocolate. 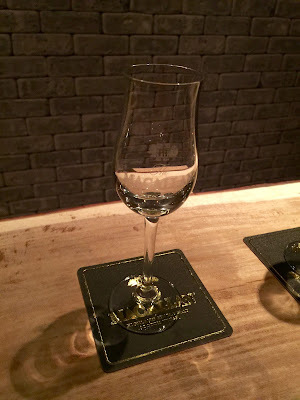 On first taste, it was quite spicy and when it went to the back of the throat, the subtle flavours of the vanilla and citrus started to come out. It was the opposite for Joe who only felt the spice as an aftertaste. 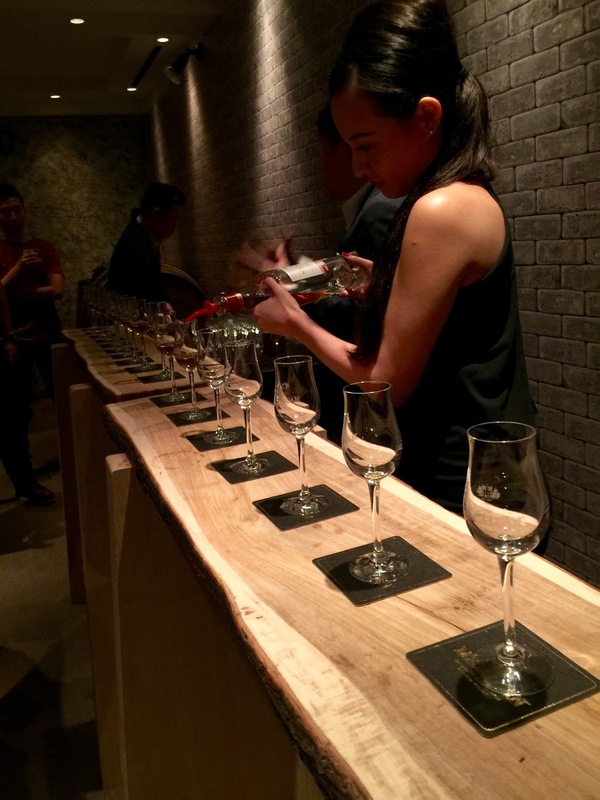 There are less than 3,000 bottles brought into Singapore for sale and it retails for about S$550/bottle. An expert that we spoke to that day recommended that we buy a bottle as an investment as it was going for sale at S$475 at the event and they had already opened 1,000 bottles for this event. Thus, it would triple in value within 10 years. Especially since this is the first bottling. The second bottling may be able to replicate the hue and the smell but it will still be different because it'll be made from different batches of whiskies aged in different barrels of oak. Oh well. I don't think I'll be storing them properly. I still have lots of my D'Arenberg Dead Arm Shiraz 2005 to sell (please contact me if you'd like to buy...even if its just 1 bottle).